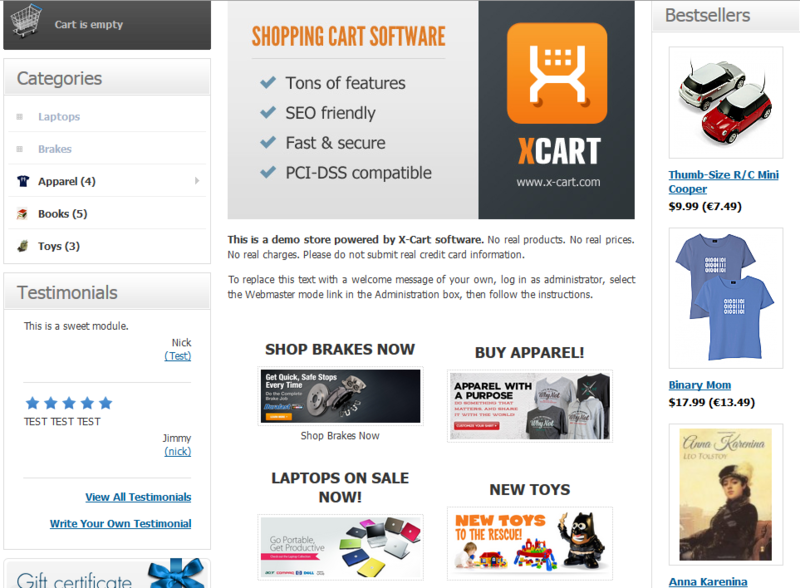 This module lets you set up your store to promote your entire categories rather than just a single product. Easily tie in to the existing categories. When you are done promoting a category, you can disable it to save it for later use. 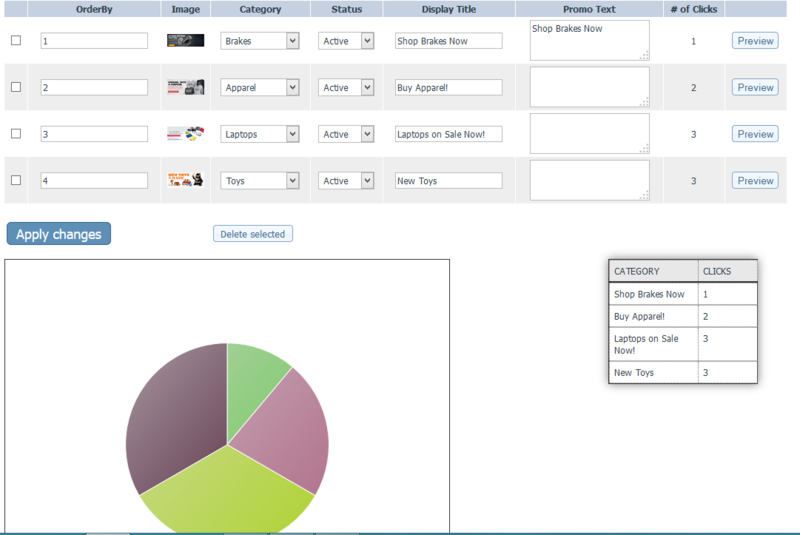 Click tracking is enabled to see which featured categories and banners are garnering the highest success among your customers. 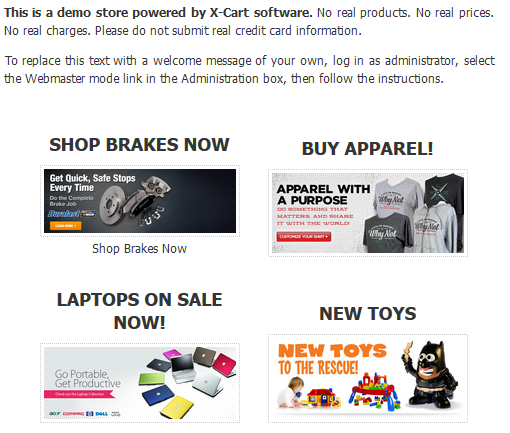 This module is essential for any X-cart store to promoting branding and user interaction as it allows single clicks and limited distractions from the categories you want to sell the most!